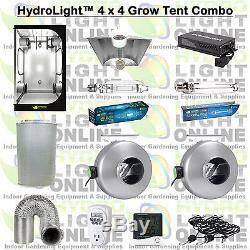 HydroLight Grow Tent W 4 x 4 x 78. 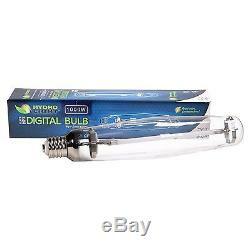 HydroLight1000W Super HPS Digital Bulb. 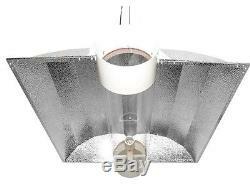 HydroLight Super CFM Xlite Carbon Filter Pre-Filter Included. (2X) HydroLight 6 Inline Fan (SUPER QUIET). 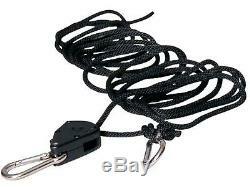 (2X) HydroLight 1/8 Rope Ratchets. 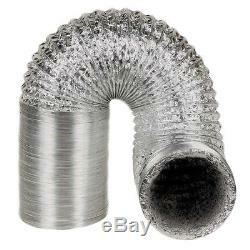 HydroLight 6 x 25' Ducting. HydroLight 4 x 4 Drying Tent. HydroLight FM2 Inline fans are built to dominate adverse growing conditions in silence. HydroLight FM2 Fan Blade is perfectly counter balanced so that it will operate virtually vibration free. Rust Proof Polished Brushed Steel Shell! This fan will output high static pressure even frozen solid! Current Max (amps): 1.55. HydroLight FM2 6 Inline Fan. The Super CFM XLITE Carbon Filters are the Best way to CONTROL ODOR without compromising your Budget. SUPER CFM Filters are Half the Weight with more scrubbing power due to the Highly Active RC48 Australian Carbon and Aluminum Body and Taller Structure. Australian RC 48 Carbon - Fine Specular Virgin RC-48 Carbon which has more surface space to make contact with affected air allowing for Increased Scrubbing Power, Airflow and a Longer Life. 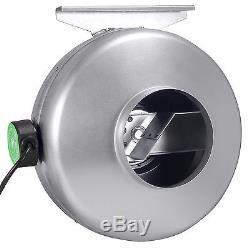 Thats why We named this ITEM SUPER CFM!! Aluminum Body - Makes it Lighter and Easier to Hang. Vibration Packed Carbon - Uniform Airflow and NO Clogging. FRESHNESS GUARANTEED - Packaged and Sealed at the Source so you ger the Freshest Most Active Carbon Possible. 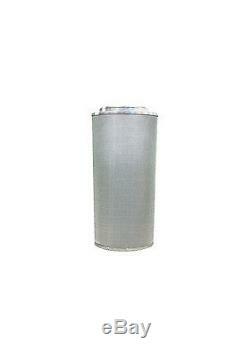 HydroLight Super CFM XLITE Carbon Filter W/ Pre-Filter. HydroLight GrowTents are made from reinforced 300D canvas with a 100% reflective diamond mylar Interior, HydroLight GrowTents are resistant against the leaking of air and light. HydroLights GrowTents are quick and easy to assemble or dismantle, are water resistant and simple to wash. A HydroLight GrowTent is a great investment for hydroponic beginners and hobbyists alike. 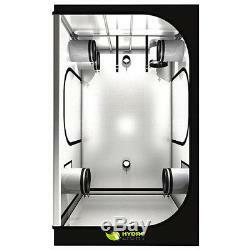 HydroLight Grow Tent 4' x 4' x 78. Chromaticity Coordinates: X=0.30, Y=0.36. Luminous Flux: 72,000 lm. Chromaticity Coordinates: X=0.52, Y=0.40. Luminous Flux: 142.000 lm. HydroLight 6 Cool Tube Reflector. 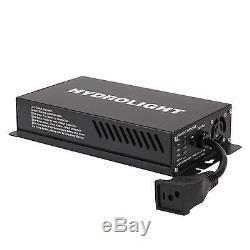 HydroLight 1000W Digital Ballasts are lightweight, compact and operate cool to the touch. The gardener can run HPS or MH Bulbs Flicker Free at 100%, 75%, or 50% power. Universal cord Plugs into 120 or 240vac. Dimmable 1000 / 600 / 400W. 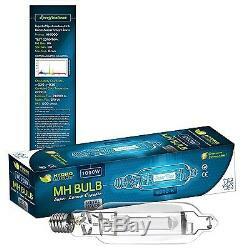 Can strike both HPS & MH lamps. Lightweight / Compact / Mountable. Generator & Flip box ready. Power Saving up to 25% over other lighting. 99.9% Power factor guarantees maximum efficiency. 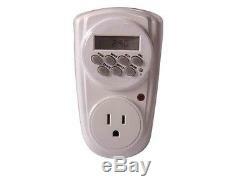 Soft Start Ignition prevents breaker overloads and increases bulb life. Lightest weight full size reflectors. 26" (L) x 25 (W) x 6" flange. 100% air tight for maximum air flow. 15 ft corded UL Certified lamp socket. 2 nickel coated wire hangers included. Fully assembled in the USA. Commonly Asked Questions About the FlexPot. Watch The Unpacking of the TrimSmart Gardening Scissors. Superiour English Speaking Customer Service. Fast & Accurate Order Processing. The item "HydroLight Complete 1000 Watt Grow Tent w Light Kit System 1000w Ballast Hood" is in sale since Tuesday, December 6, 2016. This item is in the category "Home & Garden\Yard, Garden & Outdoor Living\Gardening Supplies\Hydroponics & Seed Starting\Grow Light Kits". The seller is "wholesalehydroponics" and is located in Ferndale, Michigan. This item can be shipped to United States, Canada, United Kingdom, Denmark, Romania, Slovakia, Bulgaria, Czech republic, Finland, Hungary, Latvia, Lithuania, Malta, Estonia, Australia, Greece, Portugal, Cyprus, Slovenia, Japan, China, Sweden, South Korea, Indonesia, Taiwan, South africa, Thailand, Belgium, France, Hong Kong, Ireland, Netherlands, Poland, Spain, Italy, Germany, Austria, Israel, Mexico, New Zealand, Singapore, Switzerland, Norway, Saudi arabia, Ukraine, United arab emirates, Qatar, Kuwait, Bahrain, Croatia, Malaysia, Brazil, Chile, Colombia, Costa rica, Panama, Trinidad and tobago, Guatemala, Honduras, Jamaica.